Progress Bank makes it easy to bank from whenever and wherever your mobile device connects. You can check your balance, transfer money and view transactions whether you’re at home or on the go. Connect by downloading our app below or visiting our site on your mobile device and login. Youtube video on getting started with the mobile app. *Requires approval to activate. Contact the bank for more information. Youtube video on Mobile Check Deposit. If you are not already an online banking customer, enroll here. 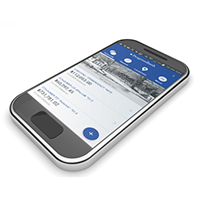 Android™ users: After you receive your online banking enrollment confirmation, download our "Progress Bank Mobile" app through Google Play in the link below and log in using your online banking ID and password.